Thousands of Dutch students skipped their classes on Thursday to join a demonstration in The Hague calling for greater action on climate change. 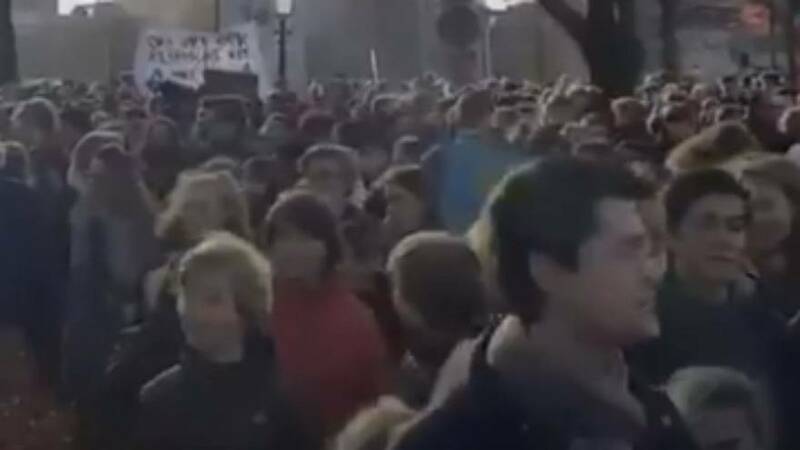 The march came amid weeks of protests over the issue by young people in neighbouring Belgium. Kim van Sparrentak was among those at The Netherlands demonstration. The 29-year-old student, who is running in the European Parliament elections this year, told Euronews’ The Cube why people like her had been inspired to protest. "This is really the climate generation we are talking about here," she said. "This generation is now on the streets to start protesting and to show that they want a different world, a better world and a future for themselves." Van Sparrentak also dismissed any criticism of the students for skipping school. "These people are actually striking for the climate because they have been listening to their science teachers very well,” she said. Click on the player above to find out more from Euronews' Alex Morgan.